You may have read my blog post on how to grow a brand with $100 and a T-shirt a few months back explaining how to use t-shirts and companies like Teespring to grow your online presence and brand. Today I want to talk about something a little different. We just launched and official “verified charity” campaign with Teespring to sell our limited edition AffiliateFix clothing. Every single penny generated is going to the amazing people over at Cancer Research UK and will help them in finding cures for cancer. 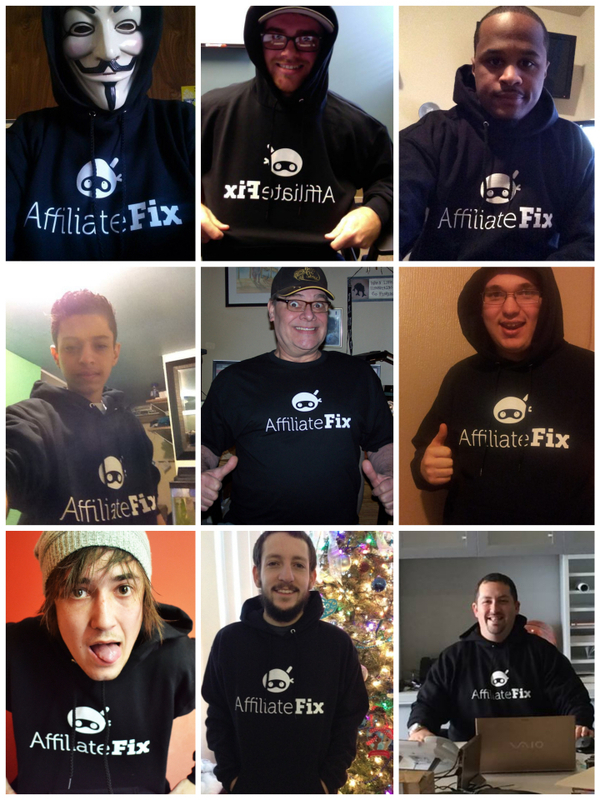 This is your chance to grab yourself a limited edition AffiliateFix t-shirt or hoody and at the same time donate to this amazing cause. 1 in 2 people born after 1960 will be diagnosed with some form of cancer and it’s something that has effected everyones lives in some way. Also for every person who sends a picture of themselves in their AffiliateFix clothing to contact@affiliatefix.com, we will donate a further $10 per picture to this incredible charity. Please, please, please do you bit for cancer this holiday period and don’t forget to send in your photo’s once you receive the clothing.